Welcome To The Republic – Tridel’s Creation At 70 Roehampton and 25 Broadway (Yonge & Eglinton). Be Surrounded By Thoughtful Architecture & Attention To Detail, Open Concept Living/Dining/Kitchen With Dark Laminate Floors, Stainless Steel Appliances, Front-Load Washer. Incredible Amenities Include Pool/Jet Tub, Exercise Room, Cabana Room, Media Room & Concierge.The Republic is a luxury condominium complex consisting of two residential towers that not only look great but has also helped revive a community. 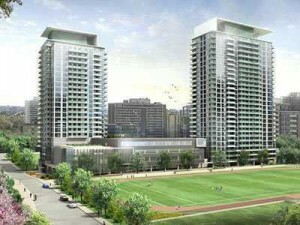 Developed by Tridel, in partnership with the Toronto District School Board, The Republic is two 24 and 27 storey buildings with the revitalized Northern Toronto Collegiate Institute seamlessly melting into the base of the complex. Easy Access To Transportation & Neighbourhood Highlights Including Great Shopping, Restaurants & Cafes.